338.013 Pharmacy technician to register with board of pharmacy, fees, application, renewal–refusal to issue, when–employee disqualification list maintained, use. 338.013. 1. Any person desiring to assist a pharmacist in the practice of pharmacy as defined in this chapter shall apply to the board of pharmacy for registration as a pharmacy technician. Such applicant shall be, at a minimum, legal working age and shall forward to the board the appropriate fee and written application on a form provided by the board. Such registration shall be the sole authorization permitted to allow persons to assist licensed pharmacists in the practice of pharmacy as defined in this chapter. 2. 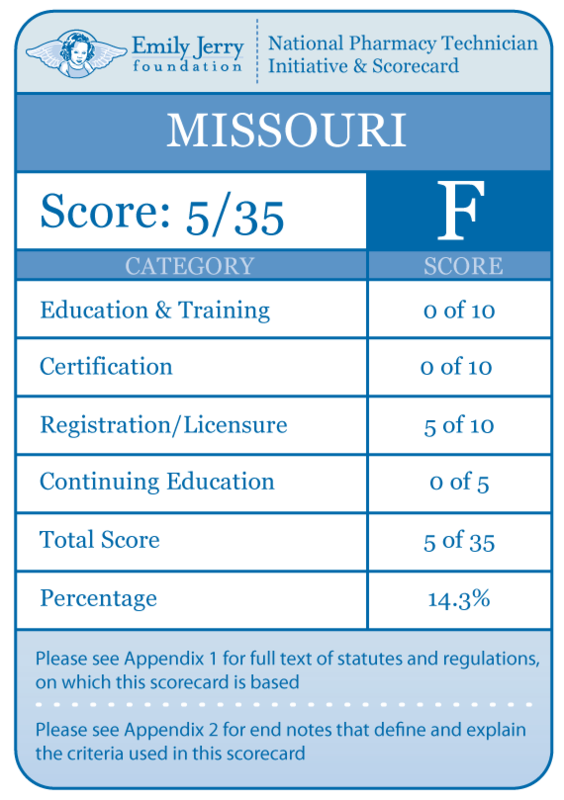 The board may refuse to issue a certificate of registration as a pharmacy technician to an applicant that has been adjudicated and found guilty, or has entered a plea of guilty or nolo contendere, of a violation of any state, territory or federal drug law, or to any felony or has violated any provision of subsection 2 of section 338.055. Alternately, the board may issue such person a registration, but may authorize the person to work as a pharmacy technician provided that person adheres to certain terms and conditions imposed by the board. 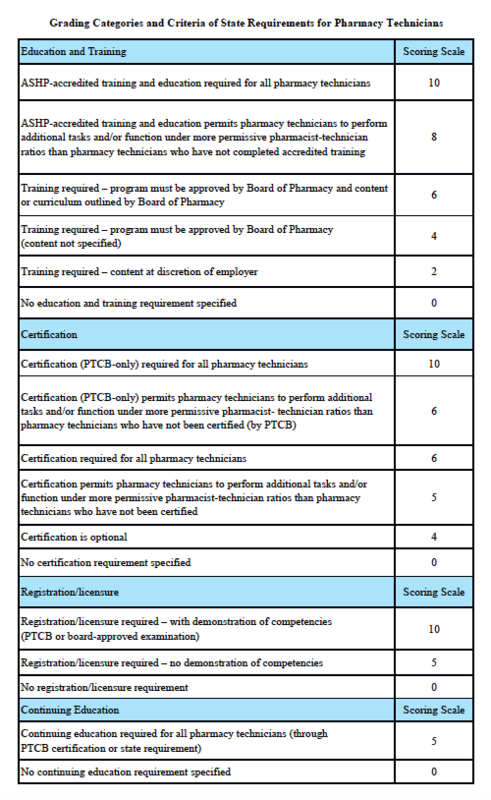 The board shall place on the employment disqualification list the name of an applicant who the board has refused to issue a certificate of registration as a pharmacy technician, or the name of a person who the board has issued a certificate of registration as a pharmacy technician but has authorized to work under certain terms and conditions. The board shall notify the applicant of the applicant’s right to file a complaint with the administrative hearing commission as provided by chapter 621. 3. If an applicant has submitted the required fee and an application for registration to the board of pharmacy, the applicant for registration as a pharmacy technician may assist a licensed pharmacist in the practice of pharmacy as defined in this chapter. The applicant shall keep a copy of the submitted application on the premises where the applicant is employed. If the board refuses to issue a certificate of registration as a pharmacy technician to an applicant, the applicant shall immediately cease assisting a licensed pharmacist in the practice of pharmacy. 4. A certificate of registration issued by the board shall be conspicuously displayed in the pharmacy or place of business where the registrant is employed. 5. Every pharmacy technician who desires to continue to be registered as provided in this section shall, within thirty days before the registration expiration date, file an application for the renewal, accompanied by the fee prescribed by the board. The registration shall lapse and become null and void thirty days after the expiration date. 6. The board shall maintain an employment disqualification list. No person whose name appears on the employment disqualification list shall work as a pharmacy technician, except as otherwise authorized by the board. The board may authorize a person whose name appears on the employment disqualification list to work or continue to work as a pharmacy technician provided the person adheres to certain terms and conditions imposed by the board. 7. The board may place on the employment disqualification list the name of a pharmacy technician who has been adjudicated and found guilty, or has entered a plea of guilty or nolo contendere, of a violation of any state, territory or federal drug law, or to any felony or has violated any provision of subsection 2 of section 338.055. (4) The person’s right to file a complaint with the administrative hearing commission as provided in chapter 621. 9. The length of time a person’s name shall remain on the disqualification list shall be determined by the board. 10. No hospital or licensed pharmacy shall knowingly employ any person whose name appears on the employee disqualification list, except that a hospital or licensed pharmacy may employ a person whose name appears on the employment disqualification list but the board has authorized to work under certain terms and conditions. Any hospital or licensed pharmacy shall report to the board any final disciplinary action taken against a pharmacy technician or the voluntary resignation of a pharmacy technician against whom any complaints or reports have been made which might have led to final disciplinary action that can be a cause of action for discipline by the board as provided for in subsection 2 of section 338.055. Compliance with the foregoing sentence may be interposed as an affirmative defense by the employer. Any hospital or licensed pharmacy which reports to the board in good faith shall not be liable for civil damages. PURPOSE: This rule defines the requirements for pharmacy technician registration. (1) A pharmacy technician is defined as any person who assumes a supportive role under the direct supervision and responsibility of a pharmacist and who is utilized according to written standards of the employer or the pharmacist-in-charge to perform routine functions that do not require the use of professional judgement in connection with the receiving, preparing, compounding, distribution, or dispensing of medications. (A) No person shall assume the role of a pharmacy technician without first registering with the board in accordance with the requirements in section 338.013, RSMo and this rule. Nothing in this rule shall preclude the use of persons as pharmacy technicians on a temporary basis as long as the individual(s) is registered as or has applied to the board for registration as a technician in accordance with 338.013.1 and .2, RSMo. (B) A person may be employed as a technician once a completed application and the required fee is received by the board. The board will provide either a registration certificate that shall be conspicuously displayed or a letter of disqualification preventing the applicant’s employment within a pharmacy. 5. Proof of fingerprinting as required by 20 CSR 2220-2.450. (D) A copy of the application must be maintained by the applicant at the site(s) of employment during and until notice of registration or disqualification is received by the applicant and must be readily retrievable for review by the board of pharmacy or the board’s representatives. (2) Registered technicians as well as applicants for registration as a technician are responsible for informing the board in the case of a changed residential address. Any mail or communications returned to the board office marked unknown, incorrect address, and the like will not be mailed a second time until the correct address is provided. (3) Registered technicians as well as applicants for registration as a technician shall inform the executive director of the board of any change in their employment address. The notification of an employment change must be provided in writing to the board no later than fifteen (15) days following the effective date of the change. (4) Any person whose name appears on the board of pharmacy employment disqualification list shall be barred from employment as a pharmacy technician except as provided in section (5) of this rule. 6. The right to appeal the decision of the board as provided in Chapter 621, RSMo. (5) Any person whose name appears on the disqualification list may be employed as a pharmacy technician subject to any restrictions or conditions ordered by the board. As an alternative to barring an individual from employment in a pharmacy, the board may consider restricted forms of employment or employment under special conditions for any person who has applied for or holds a registration as a pharmacy technician. Special conditions may include participation in the board’s Well- Being Program, as provided in 20 CSR 2220-2.175. Any registered technician subject to restrictions or conditions who violates any portion of the restrictions or conditions may be further restricted in employment or have additional conditions placed on their registration. The board may also implement full disqualification on a registrant who has violated any restrictions or conditions. (6) The letter of notice of intent to disqualify and the disqualification list shall be considered an open record of the board as well as any notice of appeal or litigation that pertains to the disqualification and/or conditional registration as a pharmacy technician. Supp. 2009, and section 338.140, RSMo 2000. * This rule originally filed as 4 CSR 220-2.700. Original rule filed Aug. 21, 1998, effective Feb. 28, 1999. Amended: Filed Nov. 13, 2002, effective June 30, 2003. Moved to 20 CSR 2220-2.700, effective Aug. 28, 2006. Amended: Filed Aug. 18, 2009, effective March 30, 2010. 338.140, RSMo 1939, amended 1981, 1989, 1997; and 338.380, RSMo 2007.